Not Toronto. Not Montreal. It’s Ottawa, a city of just over eight hundred thousand people, sprawled along the Ottawa River with Gatineau, Quebec across the waterway. Oui, c’est vrai! Ottawa buzzes with politicians politicking, senators spending way too much money and journalists informing the nation of all the shenanigans 'on the hill'. 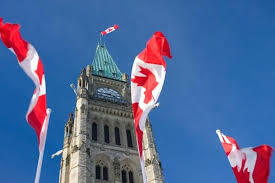 And everywhere, flags bearing the red maple leaf, hang from buildings filled with government employees, running government business and keeping the country moving forward. Well, at least that’s what we hope they’re doing. The Peace Tower is the bell and clock tower located in the center of the Parliament buildings. You need to line-up and go through security (similar to that of an airport), but this is a minor inconvenience considering the halls you’ll be wandering through. An elevator ride will land you right in the tower. 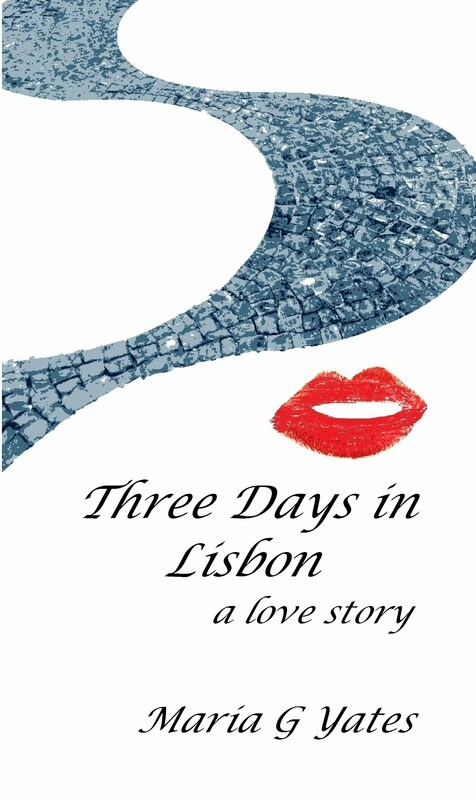 As the elevator whisks you up, look for the large bells that chime at noon. Once you’re off the elevator, a 360-degree view of Ottawa and Gatineau await you. Look carefully upwards through the glass-panes and you’ll actually see the tower clock’s face. Atop the tower, the Canadian flag flaps in the wind and is changed every day, Monday to Friday. Canada’s only Le Cordon Bleu campus is located in Ottawa providing courses in cuisine, pastry and boulangerie to students from all over the world. Located in the culinary institute is, Signatures restaurant. Dinner here is an experience not to be missed. Set in an elegant mansion, with winding staircases and crystal chandeliers, one can’t help but feel grand. Under executive chef, Yannick Anton, the menu is unique and creative using local, seasonal ingredients. It features choices like, seared deer medallion with pine nut and fir jelly crust, millie feuilles of celery root and artichoke, deer osso-bucco ravioli and roasted figs in Saskatoon berry. For dessert try, royal gala apple, poached in duminot ice-wine, ginger sponge, praline ice-cream, pine nut granola, ginger cremeux, hot apple cider anglaise, praline crisp, apple chips. Your dining experience will begin with an amuse-bouche. And from then on, just sit back, relax and wait for your meal to make its grand entrance into the dining room and onto your table. Sussex Drive is where you’ll find Ottawa’s high-end shopping area. Here are shops like, MaiYa Pearls, where you can work with a designer to create your own unique piece of jewelry. Or drop into Kaliyana boutique, which offers innovative pieces for women by Canadian designer, Jana Kalous. Located within an easy walk of all major downtown hotels, you can shop. From Sussex Drive, meander on over to ByWard Market, one of Canada’s oldest and largest public markets. Don't be in a hurry to leave. There is so much to see and do here. Within the market area, you’ll find museums, cafés, specialty food shops, boutiques, galleries, restaurants, pubs, and so much more. 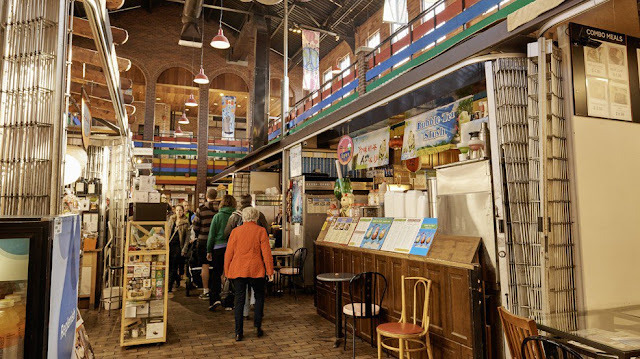 It’s both an indoor and outdoor market, with vendors selling items like fresh flowers, fruits and vegetables and all things maple syrup (pick-up the maple butter). You’re in Ottawa! 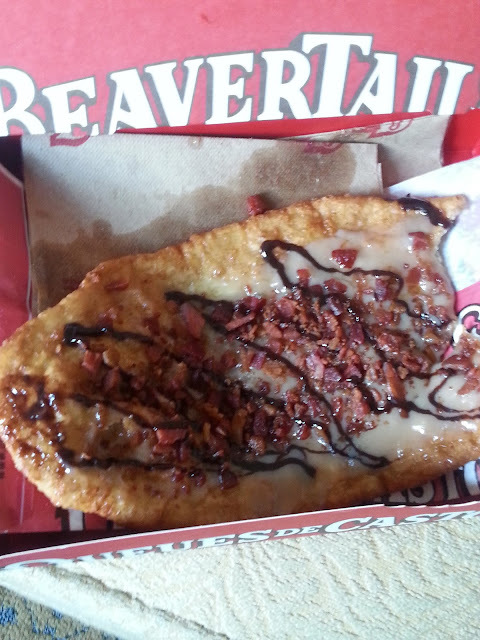 Of course, you must have a beavertail, those delicious deep-fried pillows of dough served warm and sweet with a dusting of sugar or a spread of Nutella. 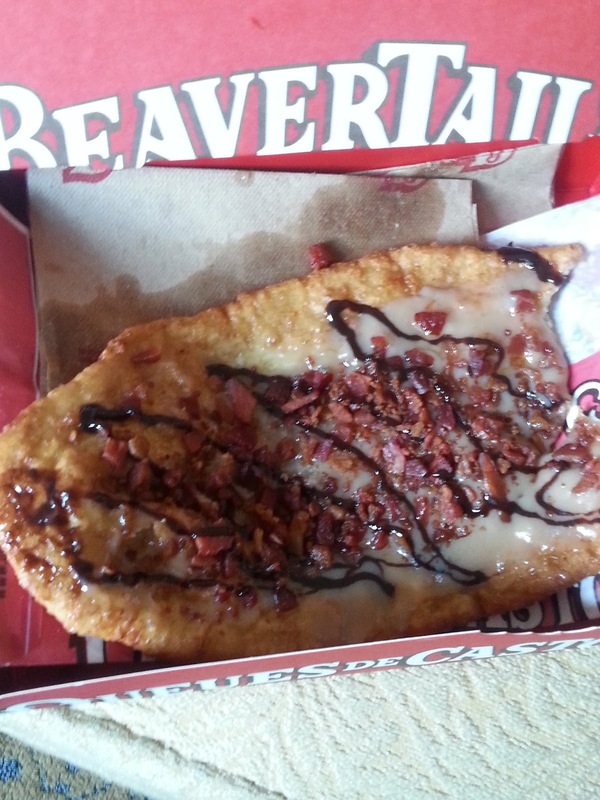 Their latest offering features maple syrup and bacon. I couldn't resist. Each bite is filled with sweet and savoury deliciousness. You’ll find a year-round kiosk in Byward Market. Pick up a beavertail, grab a cup of coffee, sit yourself down and watch the world go by. Ottawa offers plenty of options for a day of pampering. Holtz, one of the most luxurious spas, is located right downtown. It offers holistic treatments, medispa services and anti-aging therapies to balance body, mind and spirit. Award-winning Santé Restaurant is also on site. A little farther afield, ten minutes from downtown Ottawa, by Gatineau Park, is Nordik Spa-Nature. 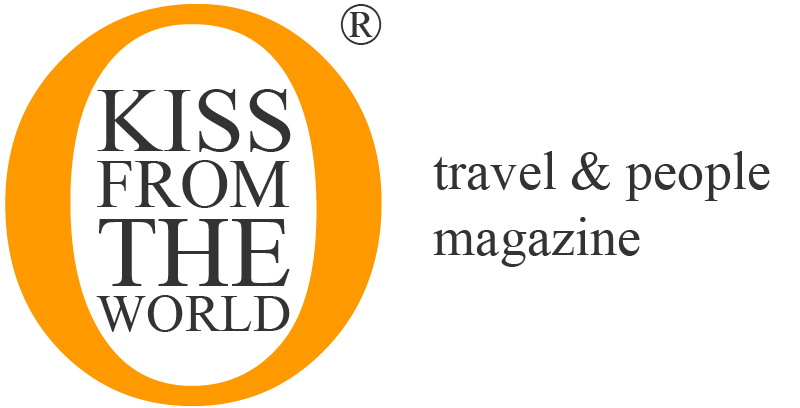 It’s the largest spa in North America with seven outdoor baths, eight unique saunas, an infinity pool, a restaurant and lounge. The 2016 Canadian Tulip Festival runs May 12-23. It’s the largest festival of its kind in the world and celebrates the friendship between Netherlands and Canada. In 1945, Princess Juliana of the Netherlands, presented Ottawa with 100,000 tulip bulbs, in appreciation of the safe haven that members of Holland’s exiled royal family received during World War II in Ottawa, and in recognition of the role which Canadian troops played in the liberation of the Netherlands. 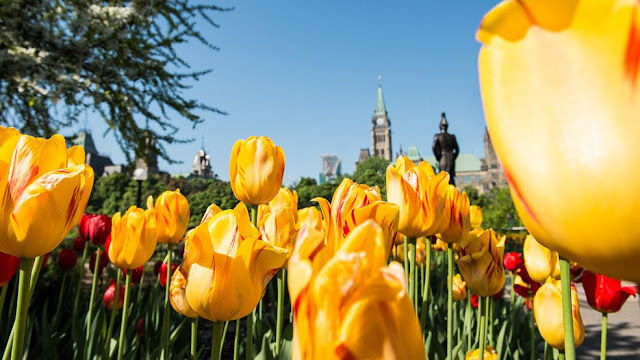 Today, with over a million tulips in fifty varieties blooming in public spaces across the National Capital Region, the highest concentration of tulips can be viewed in the flower beds of Commissioners Park, on the banks of Dow’s Lake, where 300,000 flowers bloom. With the Ottawa River as its backyard, there’s no better place to have a whitewater adventure. 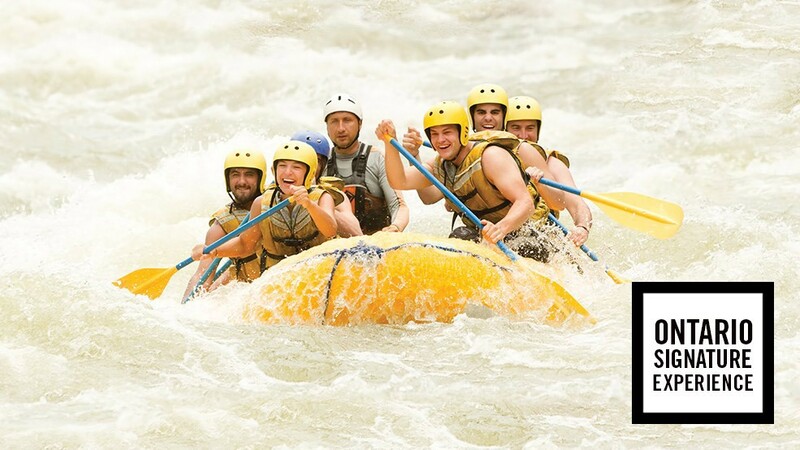 Canada’s beautiful urban capital is home to three whitewater rafting companies: Wilderness Tours, RiverRun Rafting and OWL Rafting on the Ottawa River. All three rafting companies were awarded the prestigious, “Ontario Signature Experience” designation in 2014. Is there anything more civilized than afternoon tea? (No!) Afternoon tea is simply one of those pleasures that must be indulged in. Zoe’s, in the Fairmont Chateau Laurier, with its chic decor, glowing chandeliers, and a beautiful glass adorned atrium, makes you feel quite regal. A server wheels the large cart filled with teas from around the world to your table. Choose your preferred blend and watch it be prepared for you, tableside. A three-tiered platter filled with freshly made scones, egg and salmon sandwiches is presented. Tiny pastries line the upper tier. For the next two hours, sip, munch and simply enjoy this most British of traditions. Twenty minutes outside Ottawa, in a town few have heard of, Carp, is an underground cavern where time stands still. The Diefenbunker Museum, named after then Prime Minister, John Diefenbaker, is an underground 4-story bunker designed to withstand a nuclear blast. Its construction was authorized by Diefenbaker, in 1958, at the height of the cold war. Built into it is an operating room and a dental office. A large vault designed to hold the Bank of Canada’s gold reserves is located on the lower level. Large storage areas were built for food, water and other essential supplies. The bunker was built to accommodate 565 people for up to one month without receiving additional supplies from the outside. As you make your way through the facility, you’ll learn about spies of the time and consequences of such activities. The Diefenbunker is an awe-inspiring piece of Canadian history not to be missed. You’ll go home anxious to conduct further research on an era that was filled with tension and intrigue.